TAMPA, Fla. — A massive alligator was spotted on MacDill Air Force Base in South Tampa Friday morning. U.S. Marine Corps Gunnery Sergeant Jake Sherrock took the video on his phone, but made sure to keep his distance. The large gator which golfers estimate to be roughly 12-feet long, slowly made its way across the Bay Palms Golf Course. Sherrock has served in the United States Marine Corps for 18 years. He has been stationed at MacDill Air Force Base for the past two years. He said it's the first time seeing a gator in Florida. "When I found out he had a name and his name was Elvis that was pretty fitting because he was walking with a purpose. It was pretty funny," said Sherrock. 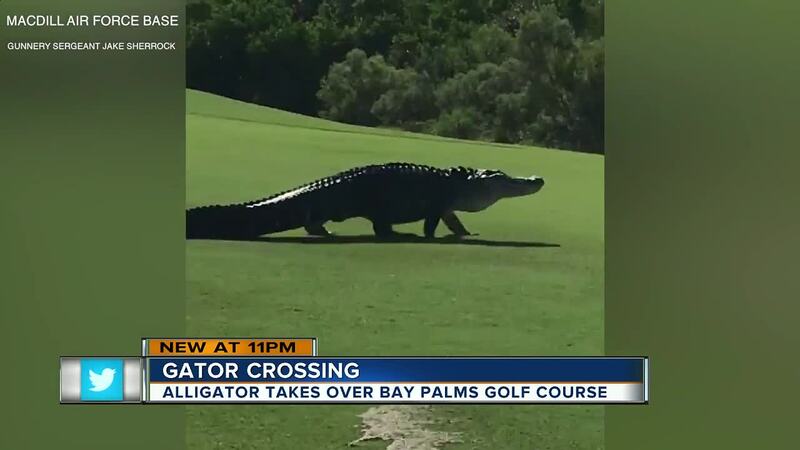 The golfers said the gator was spotted on the course last year. Sherrock said maintenance staff told him the gator rotates between ponds, but is rarely seen. "As I got about 20 feet of him, he started to get up and move. He didn't want to be next to people which is kind of typical from what I've heard. He doesn't normally come out," said Sherrock. 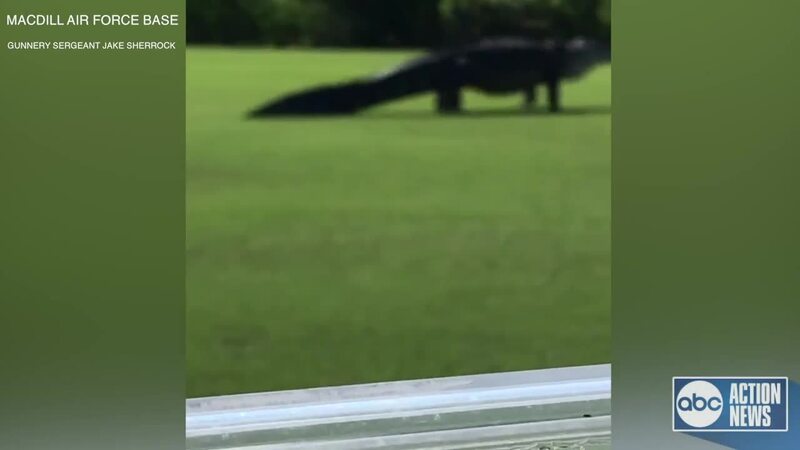 This isn't the first time a massive gator has been spotted hanging out on a golf course in Florida. A few years ago, video of the 'Goliath gator,' went viral when it was spotted at Buffalo Creek Golf Course in Palmetto, Florida. Mary Stringini is a Digital Reporter for ABC Action News. Follow her on Twitter @MaryWFTS .